Wash all the zucchinis and eggplants under plenty of running water. 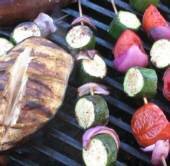 Cut the zucchini lengthwise in three pieces and the eggplants in slices. Pour some olive oil over them and cook them on the grill for 10-15 minutes. Wash the other greens under running water. Cut them by hand and arrange them in a salad bowl. 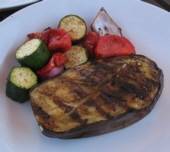 After the zucchini and eggplant slices are cooked on the grill arrange them also in the salad bowl over the greens. 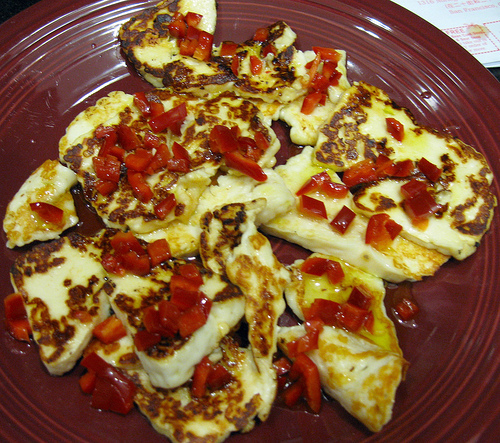 Cut thick slices of halloumi and fry them in a non stick pan for 2 minutes on each side. 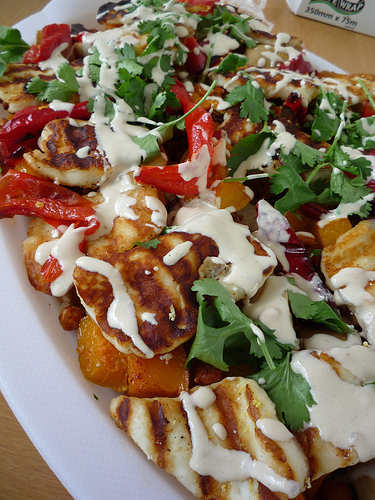 Arrange the fried halloumi over the greens and vegetables in the salad bowl. Place all the ingredients for the sauce in the blender and blend for about 1-2 minutes. Pour the salad dressing over the salad and serve. You can use any kind of sauce over this kind of salad. 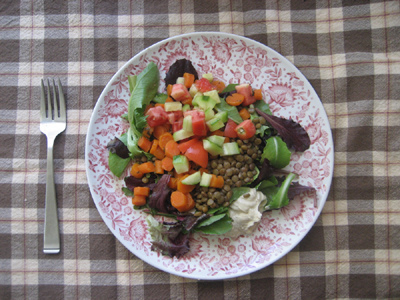 One other sauce that is great for this salad is Tahini Dressing.